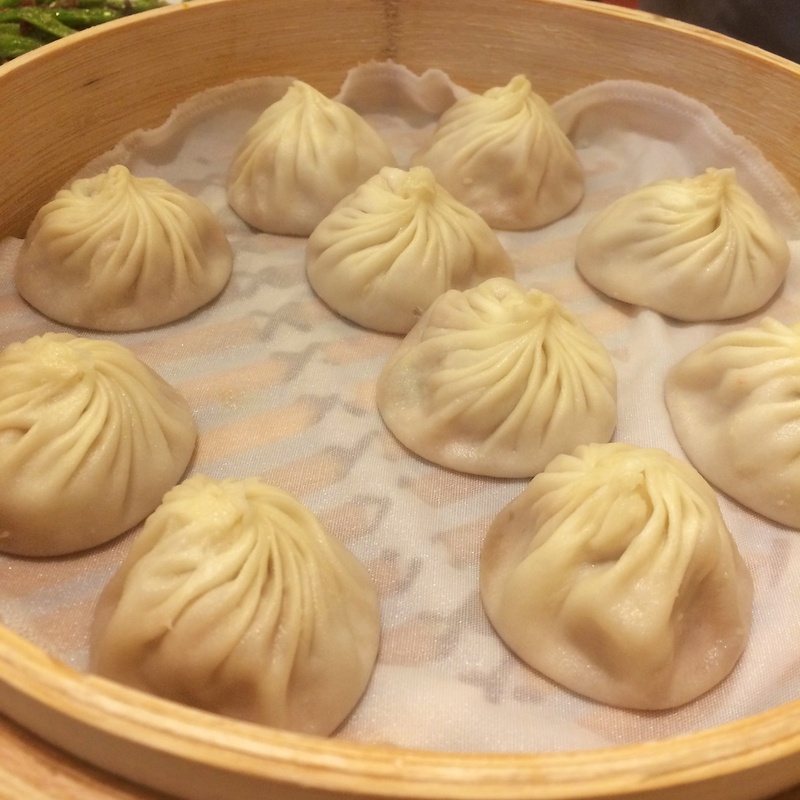 Now you can’t come to Taipei and not try the famous Xiao Long Bao — soup dumplings — from Din Tai Fung. 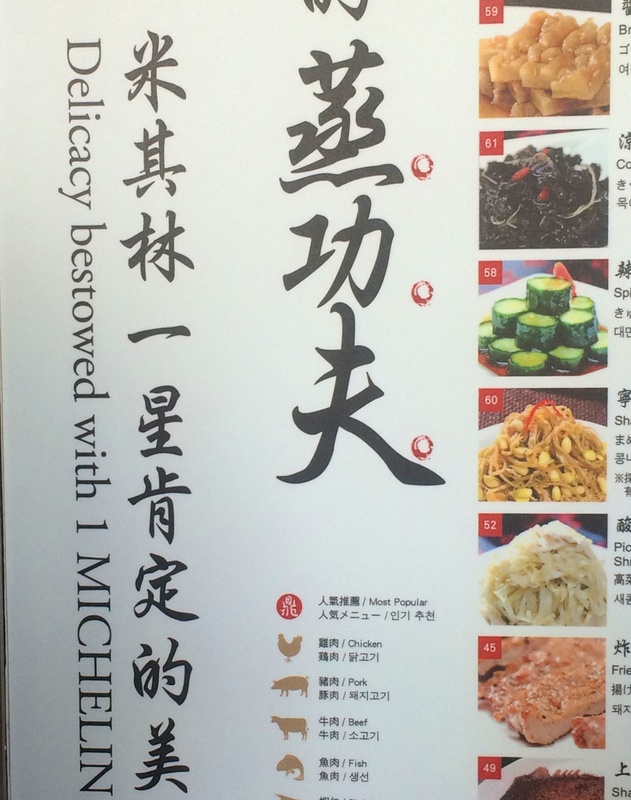 I’ve been told by many locals and other ABC’s — American Born Chinese — that Din Tai Fung is not even that great, but who can turn down a Michelin starred restaurant, especially when I don’t have to starve myself the week before to afford it? Did you know that Din Tai Fung is a publicly traded company? I didn’t know that it was possible for a restaurant, but you eat and learn something new everyday. 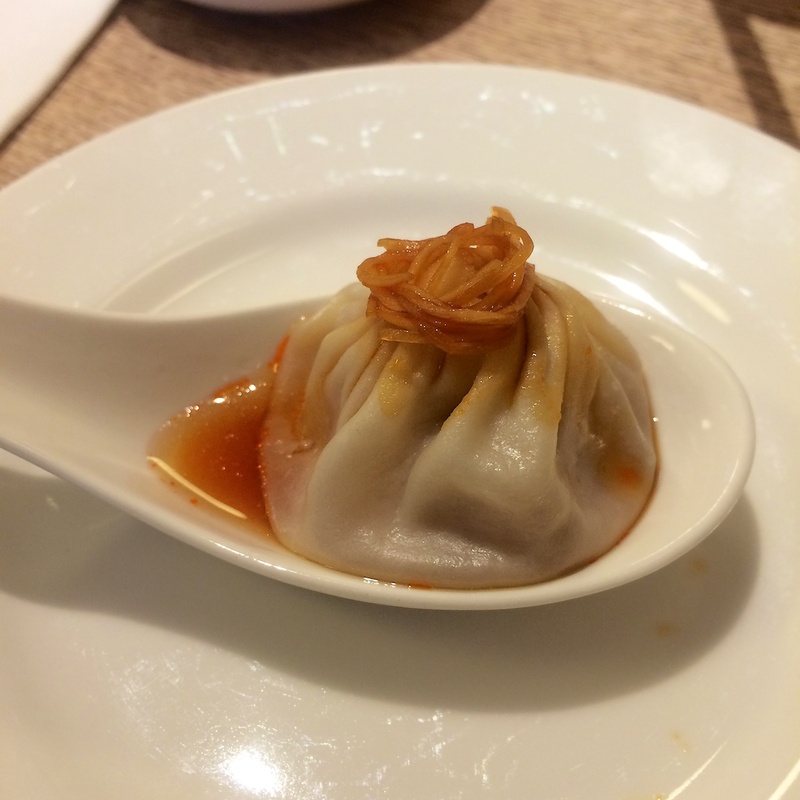 Din Tai Fung (Map) (multiple locations). Now per my personal evaluation of this place — This place is yummy in my tummy. The Xiao Long Baos are delicious, but the wait can be quite long — we ate at 2pm and still had to wait an hour. However, don’t let the wait deter you from trying at this famous restaurant either here in Taiwan, California or at any of their multiple locations. Next time, I just have to find a location that isn’t on the Chinese tour bus drop off point. 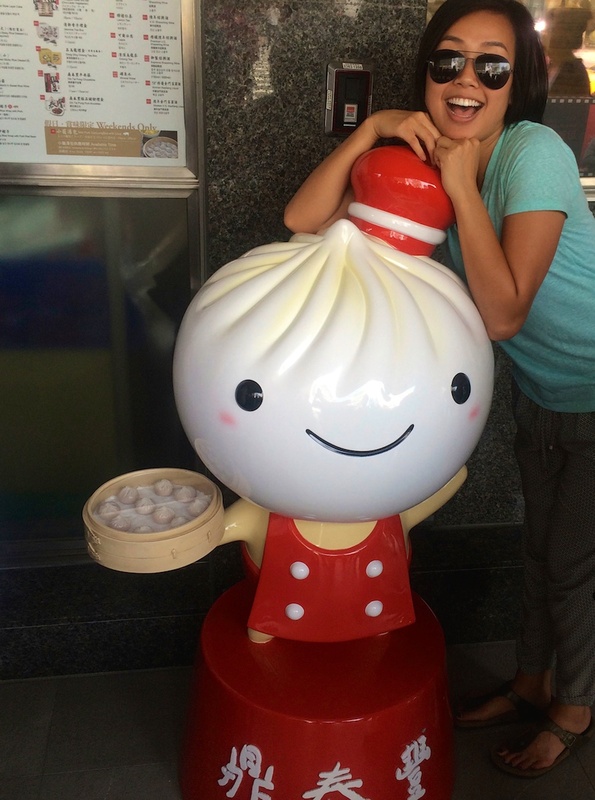 You have to take a picture with the mascot of Din Tai Fung — it is just so cute! 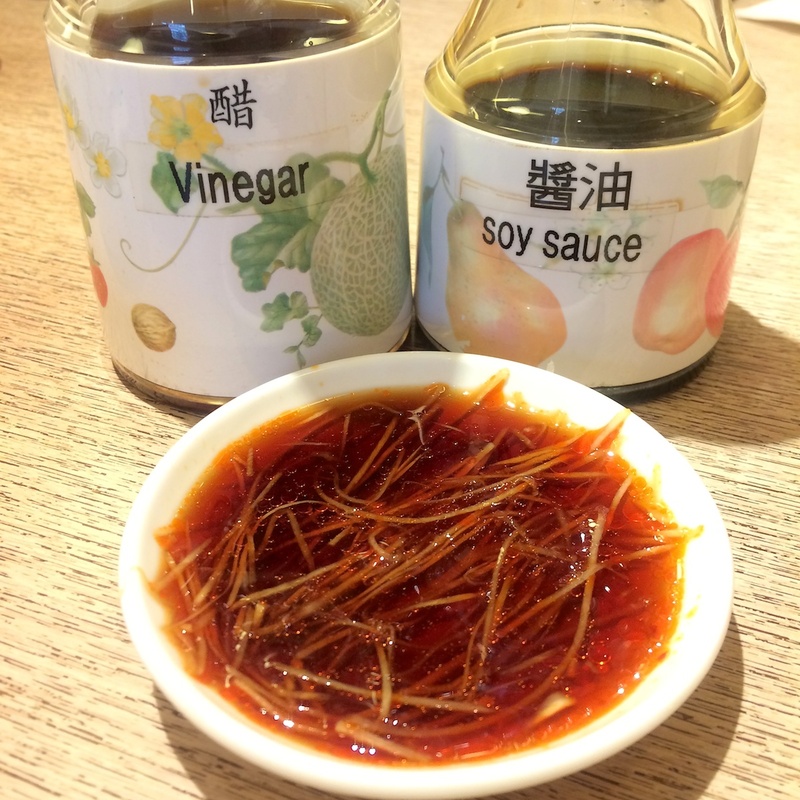 Xiao Long Bao dipping sauce — a perfect concoction of soy sauce, vinegar, and chili oil. I like mine more tangy, therefore I usually make mine with 2.5 tsp of vinegar per 1 tsp of soy sauce and just enough chili oil to glaze the top. I am quite disappointed with their ginger. I think that along with the dipping sauce, the ginger is a major component to the perfect spoon of Xiao Long Bao. Unfortunately, the ginger here is tasteless — it’s dry and has absolutely no aroma. For me I like to put a little bit of my pre-mixed sauce in the spoon before I put in the dumpling. Next, I use my chopstick to poke the dumpling to release the soup inside so it can have time to mingle with the soy sauce and to cool down — we don’t want to burn our mouth on the first bite. Lastly, I top the dumpling with ginger before enjoying the work of art I just created. 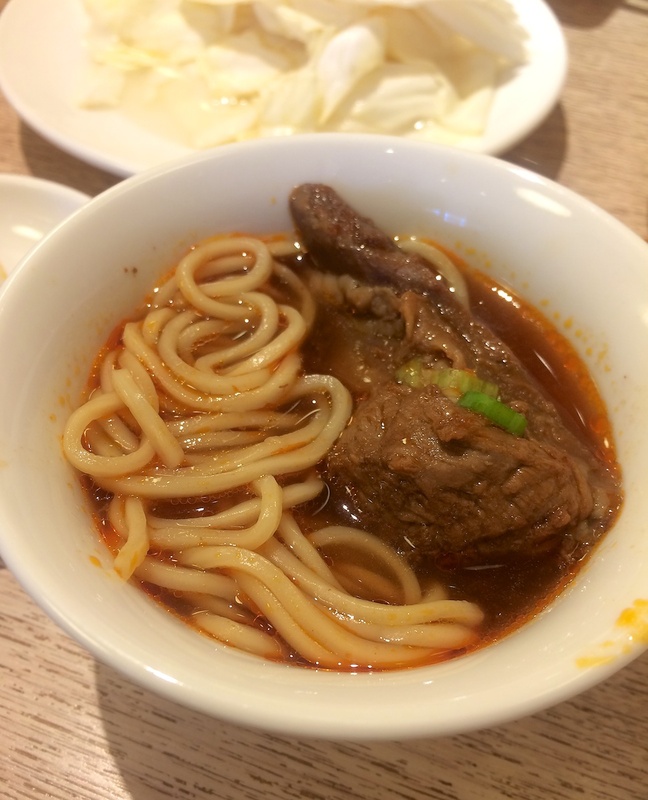 Beef Noodle Soup – This dish is uneventful since it’s bland and tastes like water mixed with beef bouillon cubes. However, this place is known for their steamed dumplings not their beef noodle soups, so I can’t be too mad. Note this dish comes in a bigger size — this is just my portion. 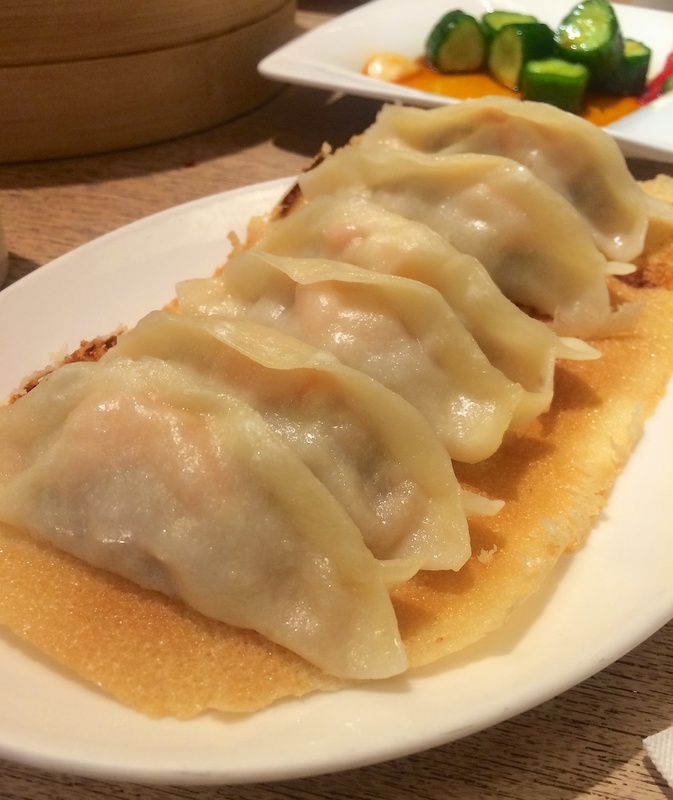 Dumplings: I like these dumplings because it’s on this really thin and crispy rice paper. You get a little crunch when you bite into these juicy pork and shrimp dumplings. 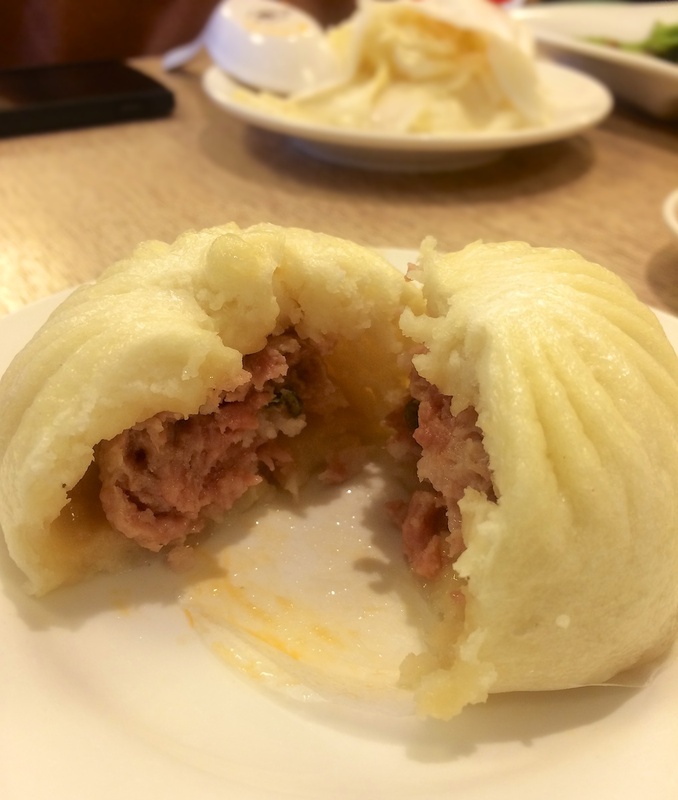 Pork Bao – I believe it’s the same pork filling as the Xiao Long Baos. The buns are light and delicate — a great vessel to soak up the pork drippings. 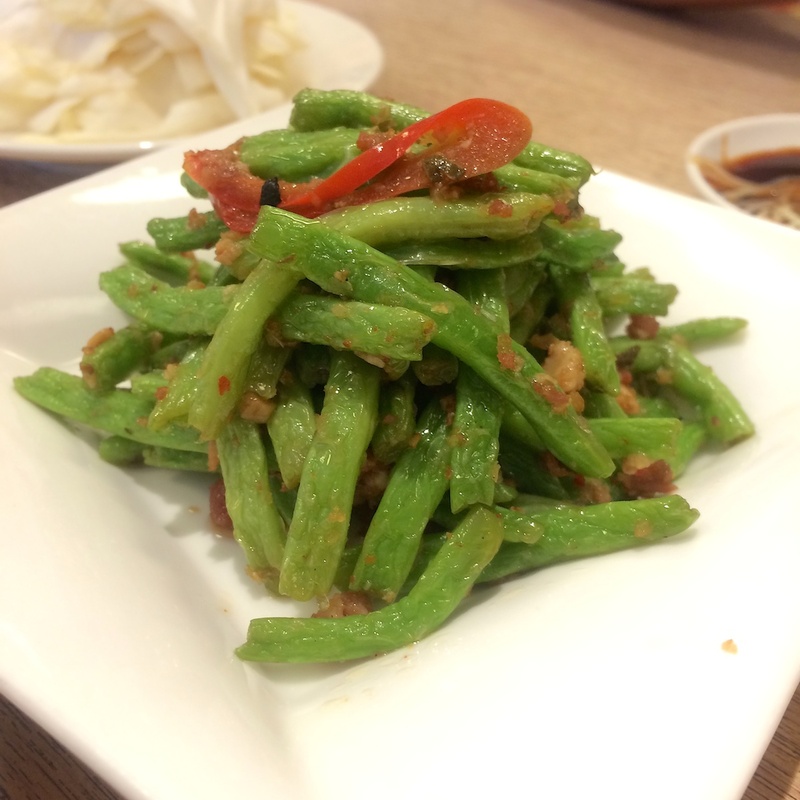 Sauteed Green Beans with Pork – A light side dish — must get some vegetable in my body. 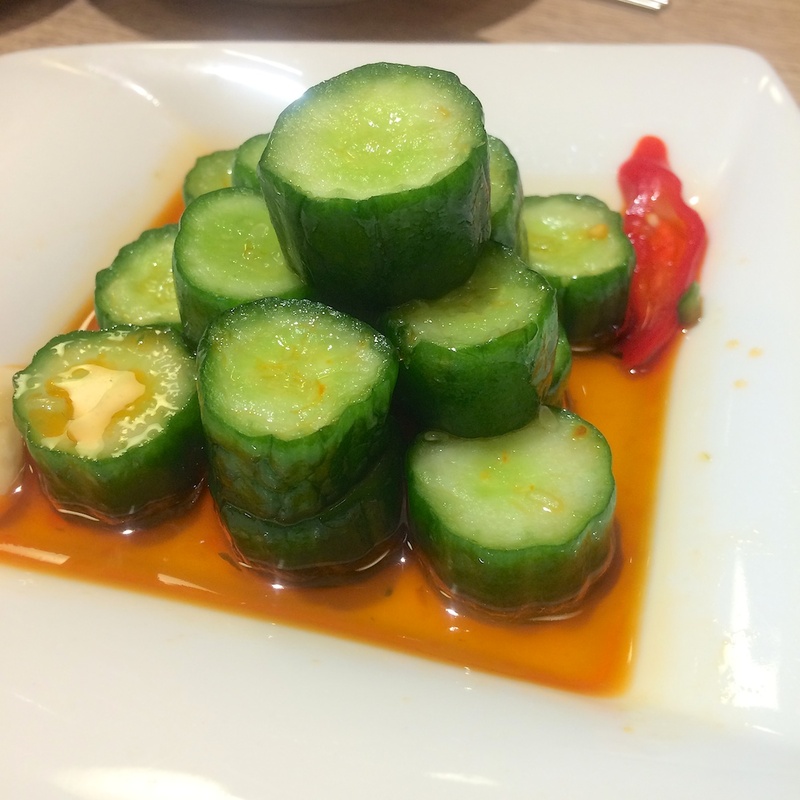 Cucumber in Chili Oil – Another light and fresh side dish. The cucumbers are crunchy and goes perfectly with the chili oil and a bit of soy sauce. Note: this dish is not as spicy as it looks — just a slight hint of spiciness. Look at how diligent they are. 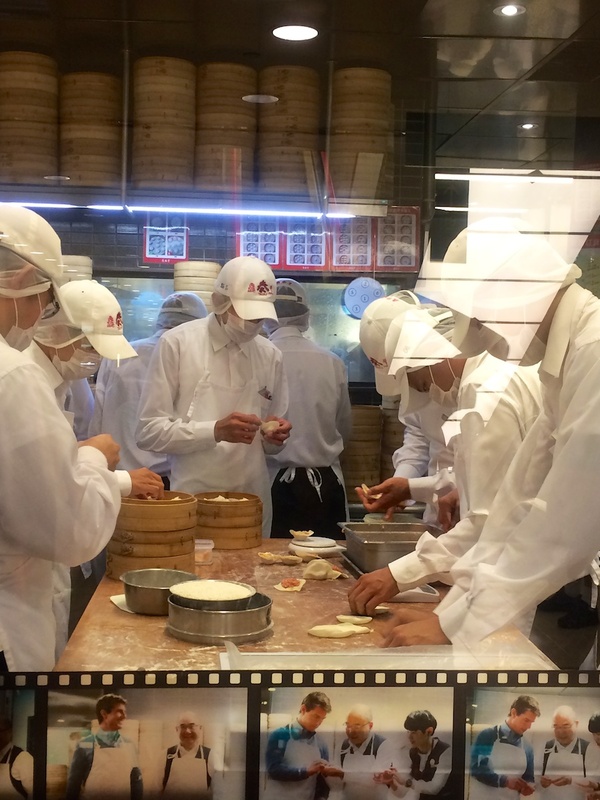 Hard at work churning out Xiao Long Baos for the hungry customers. Yes, that is Tom Cruise at the bottom of the picture learning how to make it. They apparently idolizes him — as do I.